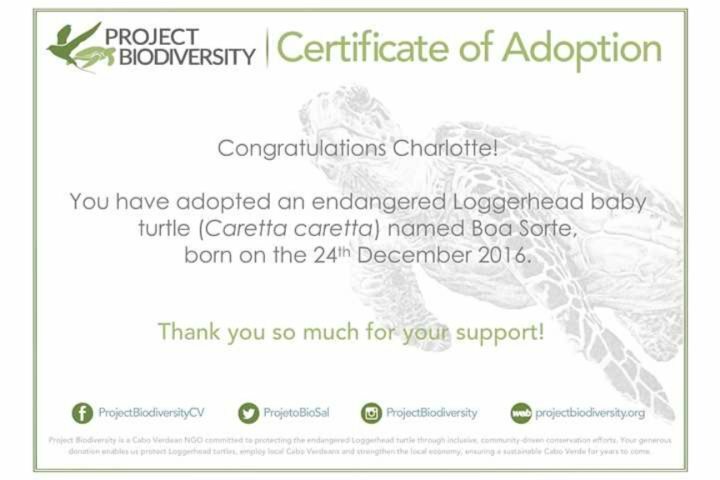 Introducing Project Biodiversity, a Cape Verdean non-profit organization striving to save the loggerhead turtle from extinction. The loggerhead turtle is globally recognised as an endangered species. It nests on the island of Sal from June to the end of October. It’s one of their most important nesting sites in the world. 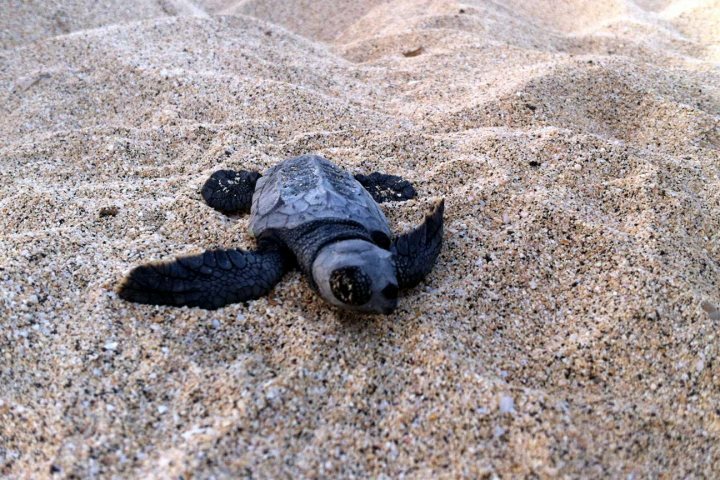 The number of nests and turtles being born here, however, were in steep decline, but thanks to the hard work of many locals, overseas volunteers and the team at Project Biodiversity, the tide is slowly turning. Why are the turtles endangered? Turtles face many natural and manmade challenges in their lifetimes. Female turtles almost always return to the same beach each year to lay their eggs. They must lay them far enough away from the sea so that the eggs are not washed away. Yet the further from the water’s edge the females make their nests, the further the hatchlings have to crawl to get to the water. It’s a dangerous journey and many are taken by birds. And, although the eggs are buried in the sand, dogs, lizards and even crabs dig them up to eat them. Once swimming out at sea, swordfish, fishermen’s nets and discarded plastic are just some of the dangers they encounter. And, despite the turtles being an endangered species, people still kill the them for their eggs, meat, skin and shells. 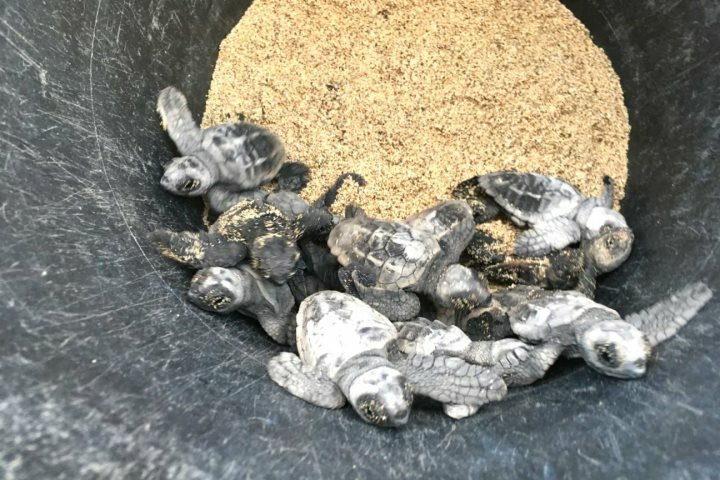 Project Biodiversity are doing a wonderful job educating locals as well as tourists and the local tourism industry about how they can work together to save the turtles. 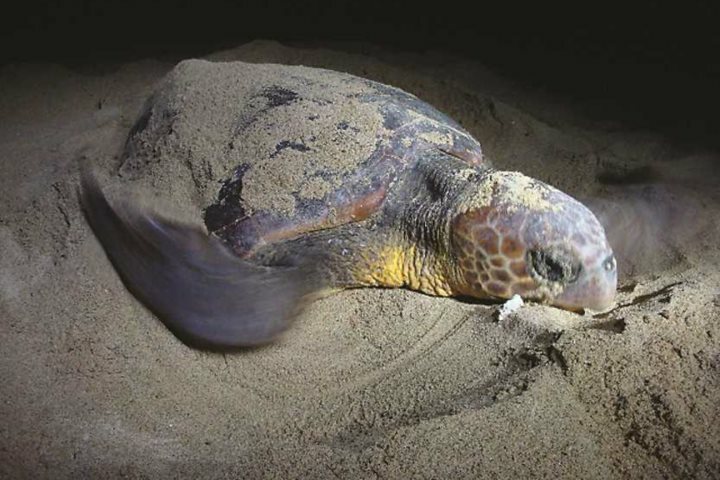 Over the last few years, the project has had a team of local rangers, field biologists, and volunteers working tirelessly during the egg laying and hatching season, day and night, to protect the turtles. Their hard work is paying off with this being a bumper season for the Cape Verdean loggerheads. More than 7,200 nests have been recorded so far on the beaches of Sal this year. Each nest has around 100 eggs in it, so that is a lot of baby turtles. Sadly though, it is estimated that only 1 in 1,000 hatchlings will ever reach maturity. To save the species it is vital that Project Biodiversity’s work continues and grows. Charlotte, our Project Manager, visited Sal last year and saw first-hand the wonderful work Project Biodiversity are doing. 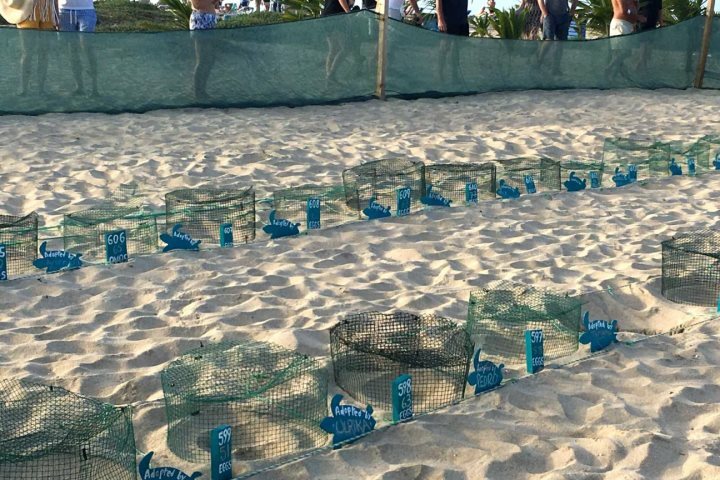 “On Sal, the team block off an area on the sand, south of Ponta Preta Beach, where they look after the turtle nests 24 hours a day. They sleep under the stars and are continuously on watch for any movement. At the end of the hatching season in late November, when I was there, they begin to dig the nests up, one by one, to uncover any hatchlings that haven’t made it out naturally. This happens around 4pm every day and people are welcome to go and watch. It’s a really wonderful thing to do and we were often rewarded by a rogue hatchling being uncovered and found to be perfectly healthy! 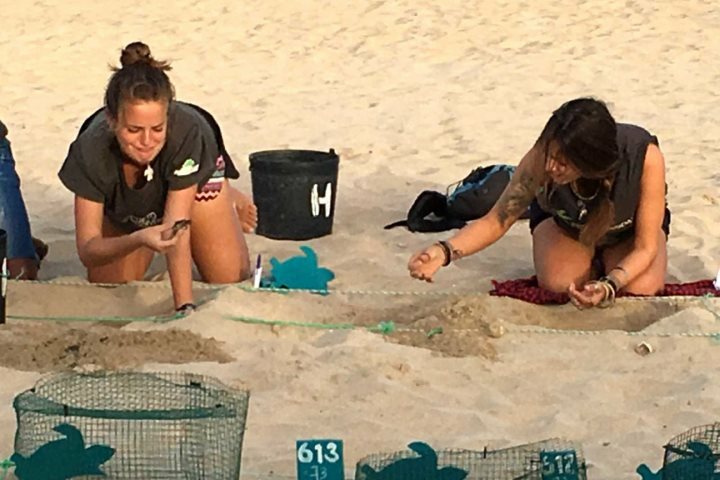 It’s now that the team of volunteers get the opportunity to educate the tourists on the importance of their work, and to ask for any donations plus the opportunity to adopt a hatchling and name them. You can ever sponsor a whole nest if you are on the island earlier than November. Once these nests have been excavated, the hatchlings are released into the sea, from the quieter, safer beaches, under the cover of darkness with just the moon to light their way. 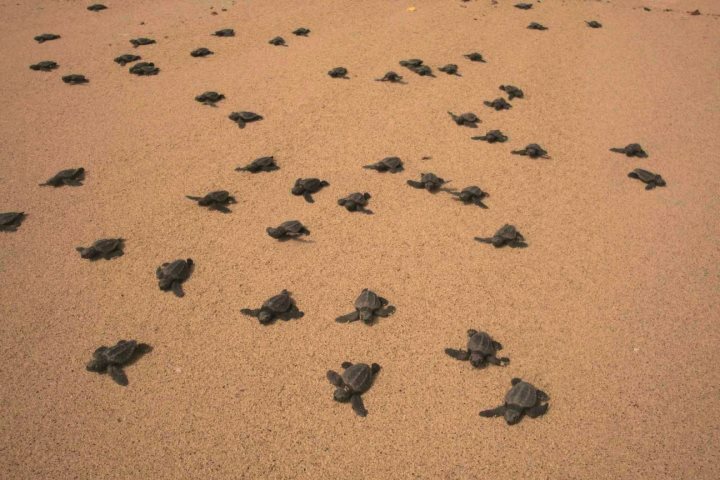 You can find out more about adopting a nest or turtle here. Subscribe to the Project Biodiversity newsletter here. And you can follow them on Instagram and Facebook for more news. If you would like to see the turtles and the work of Project Biodiversity for yourself, book a holiday on Sal today, for anytime from now until the end of November.